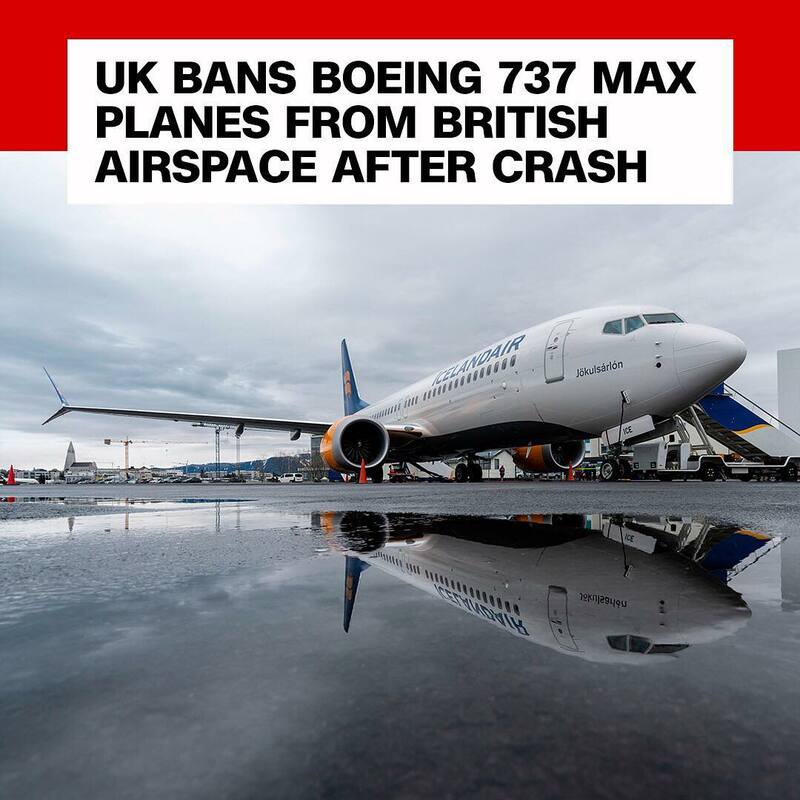 Britain’s aviation authority is banning Boeing’s best-selling 737 MAX planes from UK airspace, joining a growing list of countries and airlines that have suspended operation of the jets after a second deadly crash in less than six months. Investigators were still trying to determine the cause of Sunday’s Ethiopia Airlines crash, which killed all 157 people on board. Similarities between that crash and another deadly crash in October in Indonesia, both of which involved 737 MAX 8s, has sparked intense scrutiny on the Boeing plane. Boeing says it has “full confidence in the safety” of it 737 MAX jets and it is not issuing any new guidance. The US Federal Aviation Administration decided not to ground the Boeing 737 MAX 8.